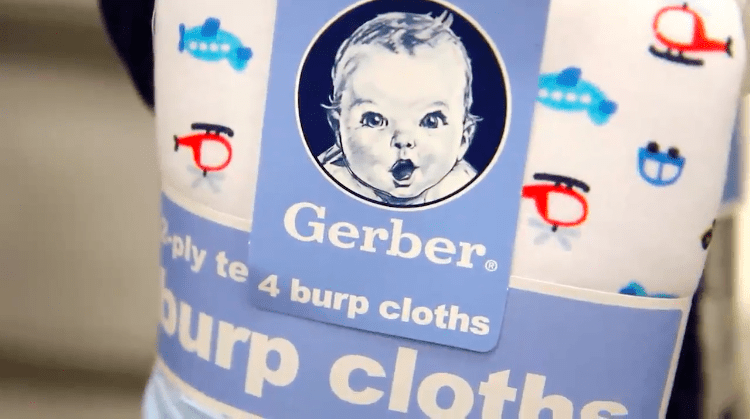 It’s been 87 years since Gerber debuted its “Gerber baby” logo, and even though the baby has been recast, the company made a decision some time ago to continue to use the original picture in the majority of its packaging and marketing materials. 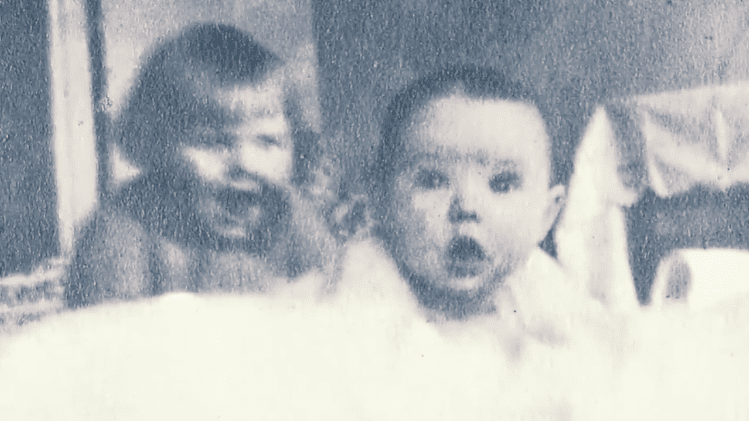 It all began in 1928, when up-and-coming artist Dorothy Hope Smith submitted a sketch of a neighbor’s infant to the company. Smith would go on to have a long and successful career in art, and Gerber began a long affair with the baby she drew at the beginning of it. 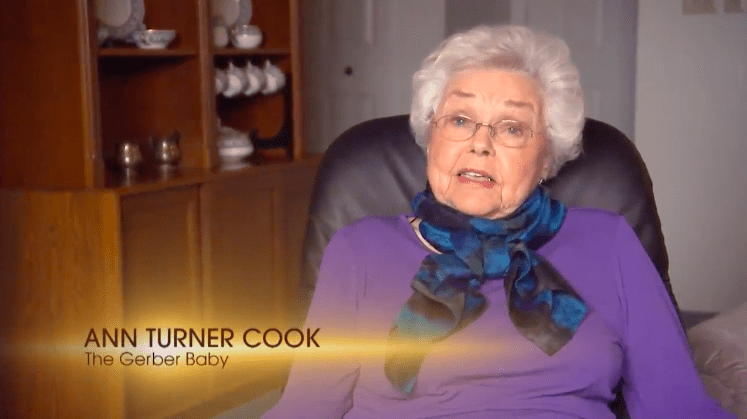 The baby was Ann Turner Cook, who is now 91-years-old and looks as happy and healthy now as she did as a baby (must be all that nutritious baby food!). She made a living as a mystery novelist and as an English teacher, and lived life anonymously until Gerber revealed her identity in 1978. Aside from the trouble at school, Cook always felt as though Dorothy Hope Smith should have received more recognition for her artwork. Gerber paid her a one-time fee of just $300, which does seem paltry when you consider the amount of money they’ve made with her sketch at the forefront. Cook didn’t get rich after lending her adorable baby mug, either, but it did help her buy a car and put a down payment on a modest home. That said, despite her misgivings, Cook says that overall, she’s proud to represent the company.